This piece was created by using broken shards of glass from another sculpture that broke. 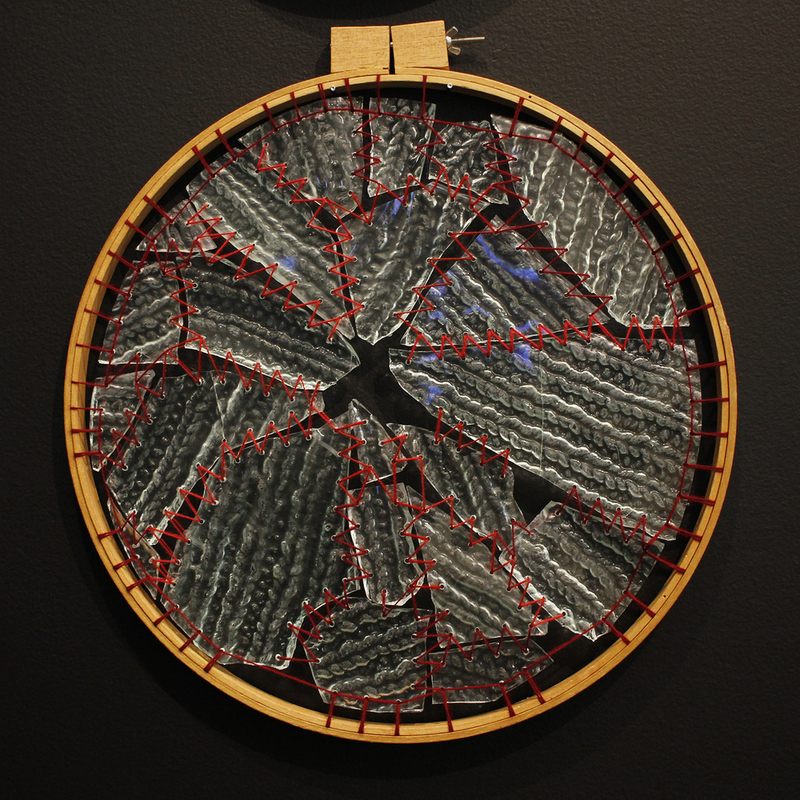 The stitched together pieces of glass have the texture of a knitted fabric on them. This piece symbolizes how in art and in life you should turn something broken into something new and beautiful. This embroidered glass pattern is reminiscent of a quilted textile, a stained glass window, cross stitch embroidered pattern, and a dream catcher. By combining glass with textiles I am asking questions about domesticity versus industry and femininity versus masculinity.